The Sentry™ gives you the ability to control your living space. 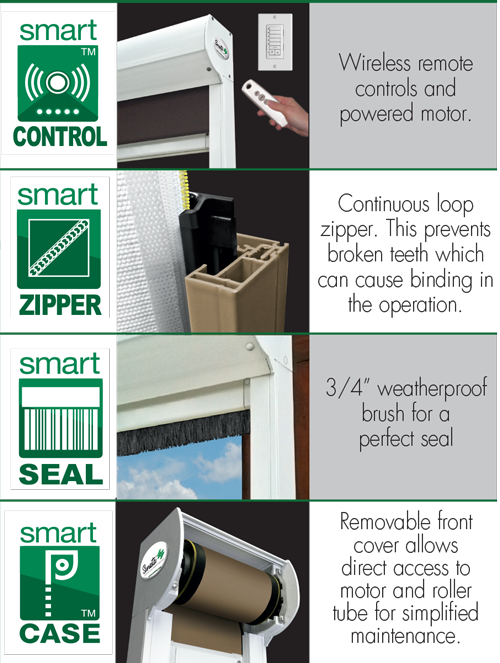 No matter if you are covering your windows, doors, patio or balcony, The Sentry™ is your solution. Even for your garage. Adding more shade to an area of your home that is normally exposed to the sun, uses less energy to cool adjacent areas of your home. 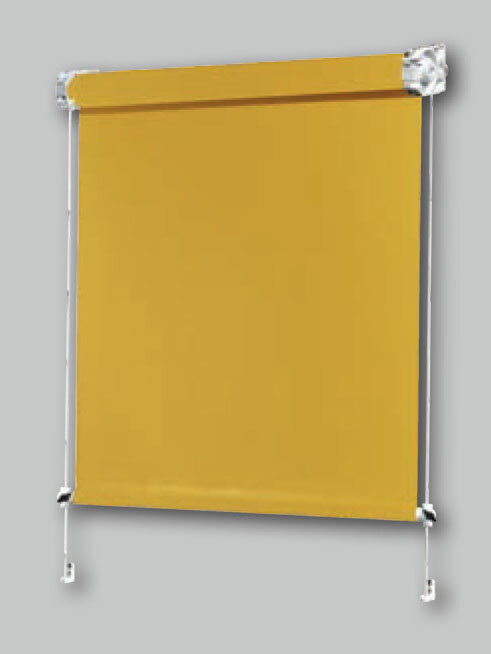 The Sentry™ captured edge screen protects you from the harsh sun and the insects around. 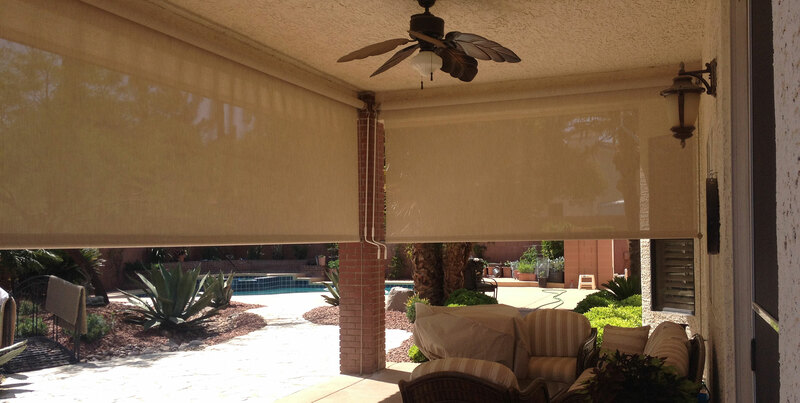 The Sunroll™ Retractable Screen provides you with total vertical sun control of your covered outdoor space. 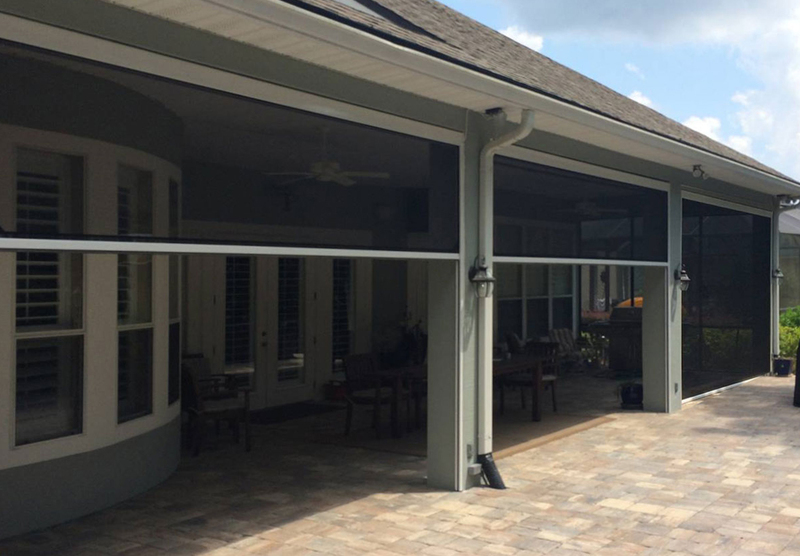 Available in motorized or manual options, the Sunroll™ can be customized to fit your unique space with widths up to 20’ and heights up to 12’. The Sentry™ is one system that has many uses. 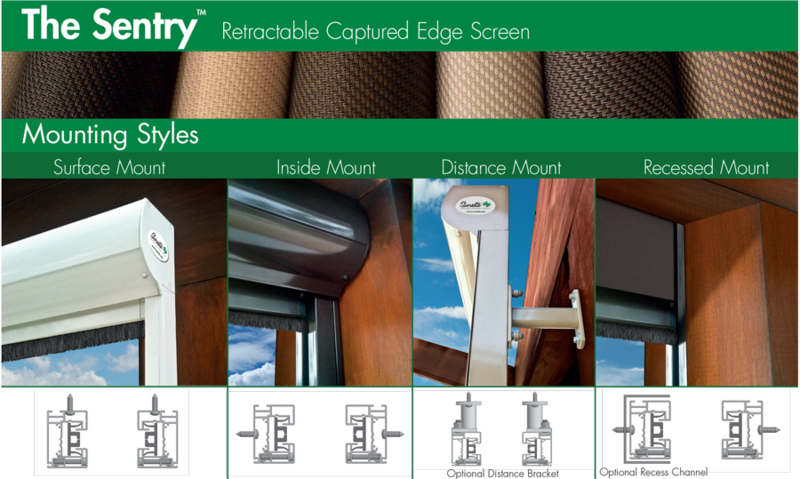 Choosing the fabric for your Sentry screen will allow you to customize your protection. 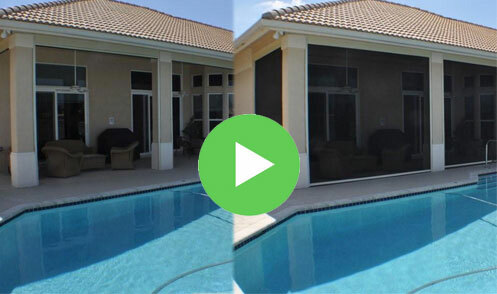 Choose bug screen for insect protection, solar mesh for sun protection, opaque fabrics for privacy or room brightness control, or clear vinyl windows for rain and cold protection without losing your view. 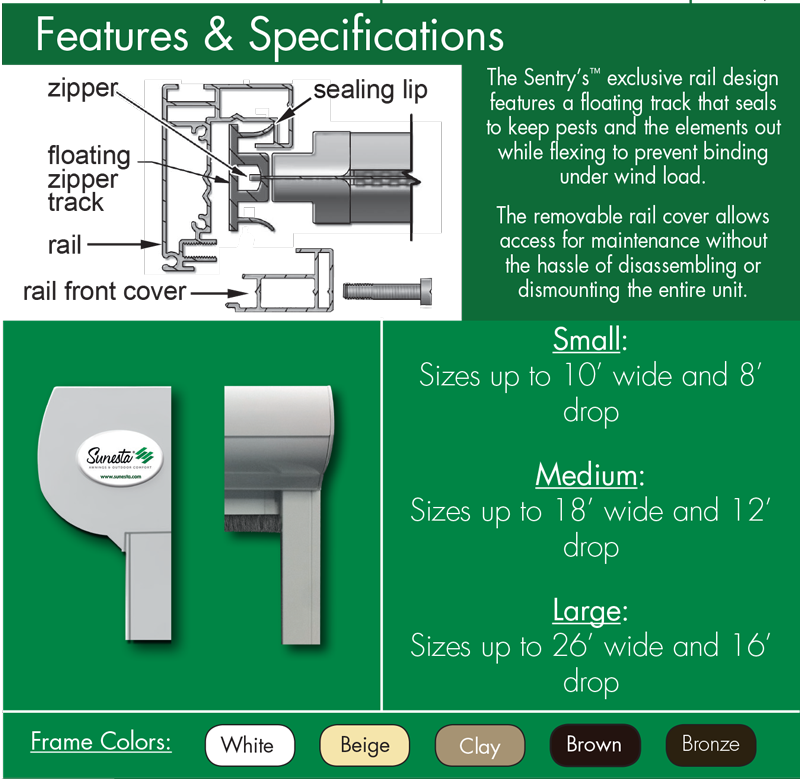 Our traditional Sunroll™ model is the largest of the Sunroll™ family and is available in widths up to 20’ and drops up to 12’. This system can be operated with a manual gear or as a motorized unit. An optional one piece aluminum hood is available for added fabric protection. A stainless steel rod kit may be added to this model for weight pipe retention. 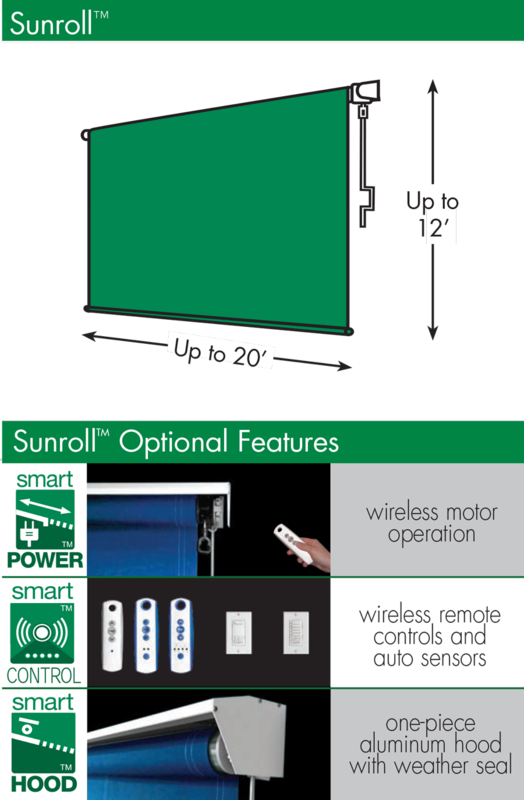 The Sunroll™ with Drop Bar and Cables is available in widths up to 16’ and drops up to 12’ and can be wall or ceiling mounted. 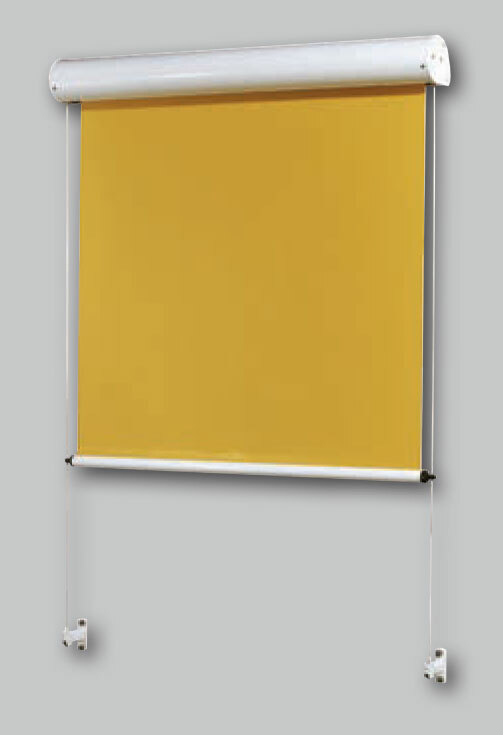 The Stainless Steel cable system offers a sleek look that can be wall or floor mounted to keep the powder coated drop bar secure from moving in breezy conditions. An optional one piece aluminum hood is available for added fabric protection. 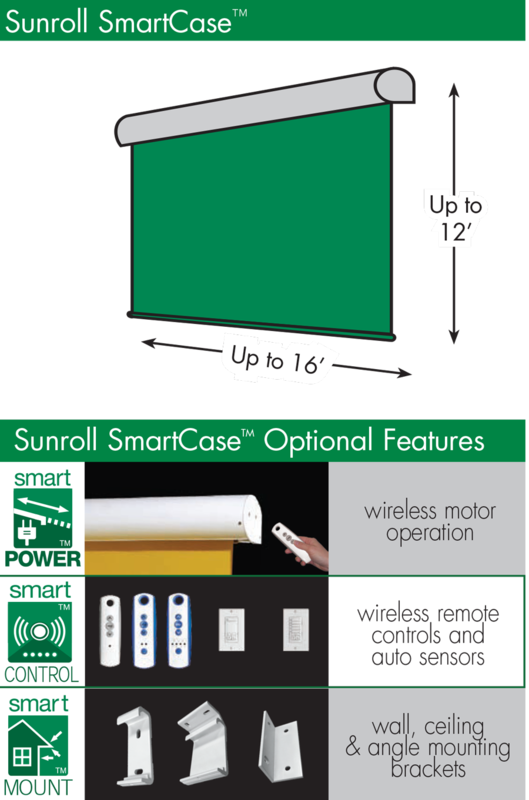 Offering total fabric protection, the Sunroll™ Smartcase with Drop Bar and Cables is available in widths up to 16’ and drops up to 12’ and can be wall or ceiling mounted. 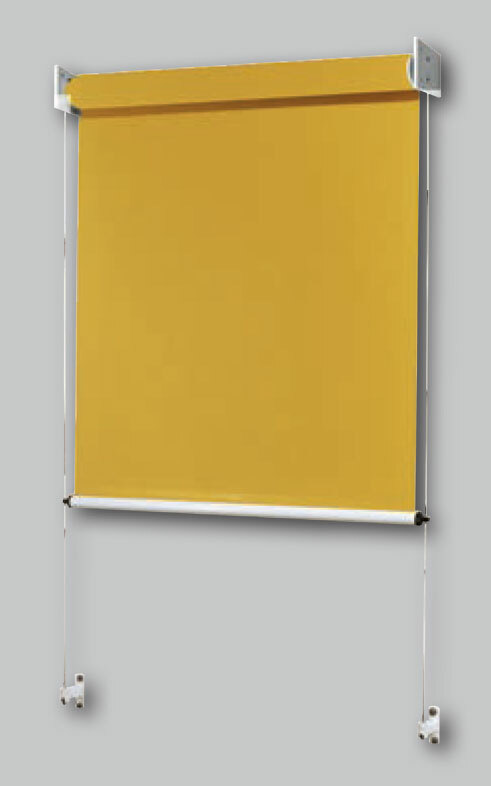 The Stainless Steel cable system offers a sleek look that can be wall or floor mounted to keep the powder coated drop bar secure from moving in breezy conditions.